G35 Bonanza cooling | AVSTAR Aircraft of Washington, Inc. Remember our G35 repair? We installed turbos at that time; now, more cooling is in order. This installation had a tendency to run a bit on the warm side. As we have seen the benefits of the Beryl D’Shannon engine baffles on other aircraft, the thought came to mind to upgrade this one. It took some persuasion, but BDS had to agree that, although not approved for the Rajay turbo installation, it was the installers responsibility to determine compatibility with their STC. 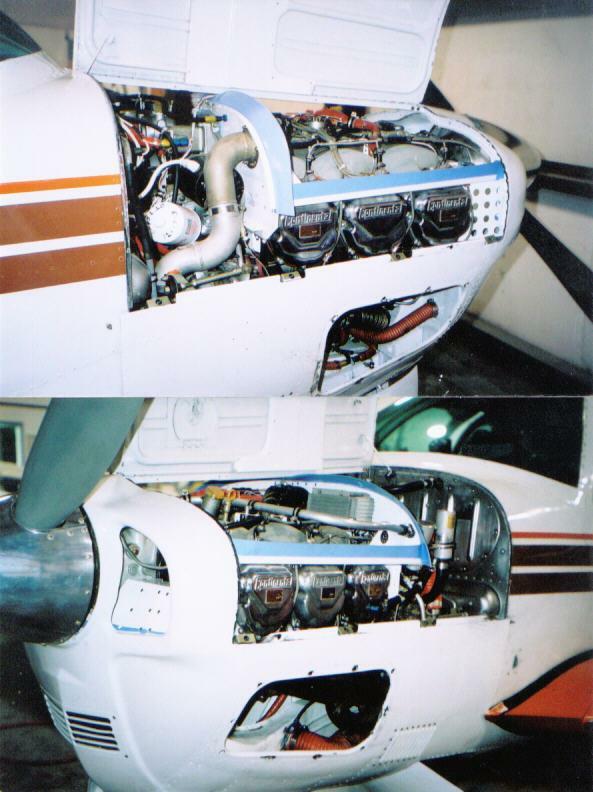 All the old Beech-modified-to-Rajay baffles came off, the BDS baffles were installed. Some with ease; others, with painstaking lay-out and adaptation. The final fit was, by all means, very good! 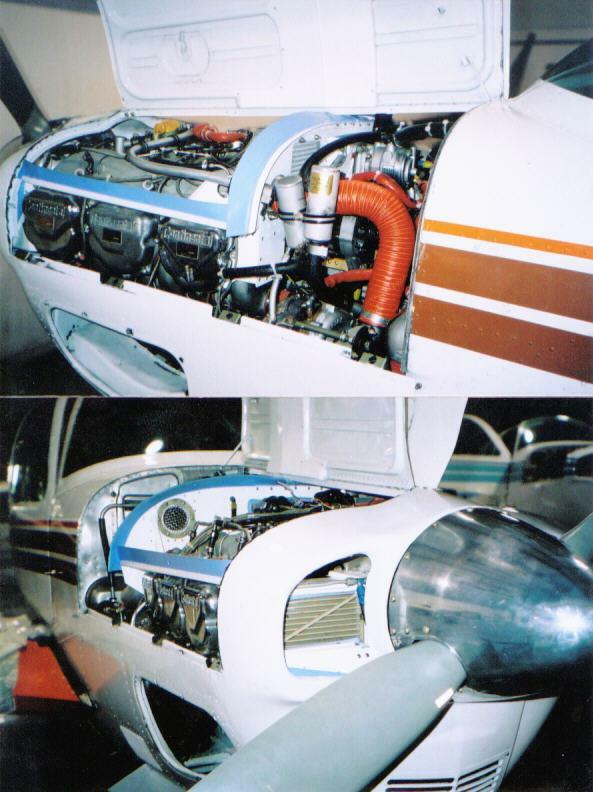 As we had witnessed the weak links in the Beech-to-Rajay baffles, additional mounting points and doublers were included on the rear baffles at oil cooler and turbo inlet mounts. In the end, the benefits of the BDS baffles and the requirements of the Rajay system were met. And, the pilot reports at 15,500’ density altitude, same RPM and MAP, 25 degrees leaner on EGT netted a drop in CHT of 40 on the hottest cylinder.